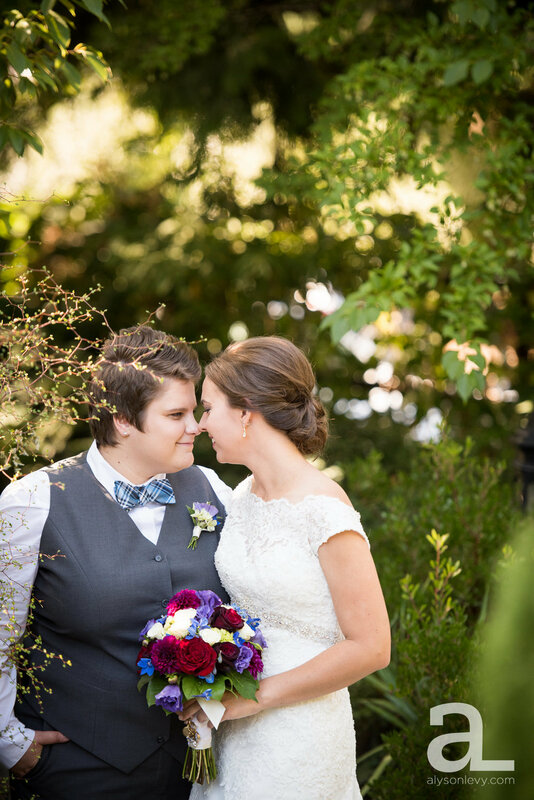 I often have couples ask me for advice about vendors and venues, so I thought I would start posting some favorites, along with some favorite photos of each. 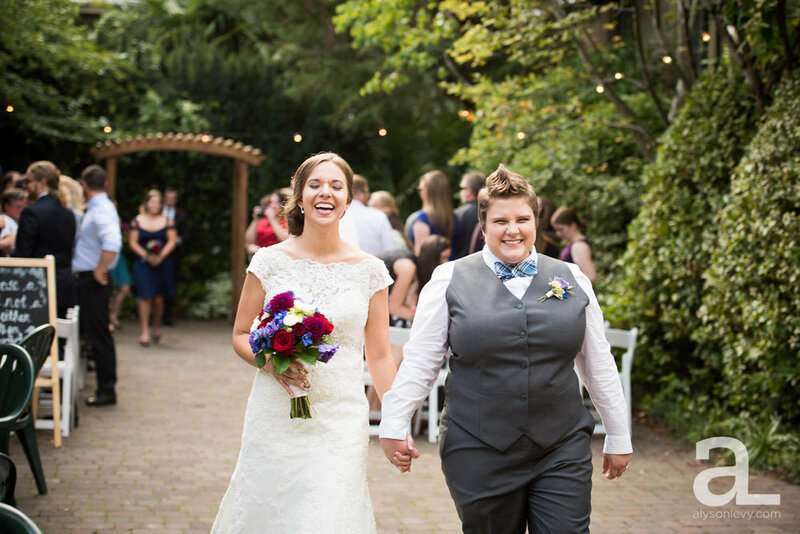 I’m going to start here in Portland, Oregon, since that’s where I live, and my first set will focus on wedding venues that are right here in the city. 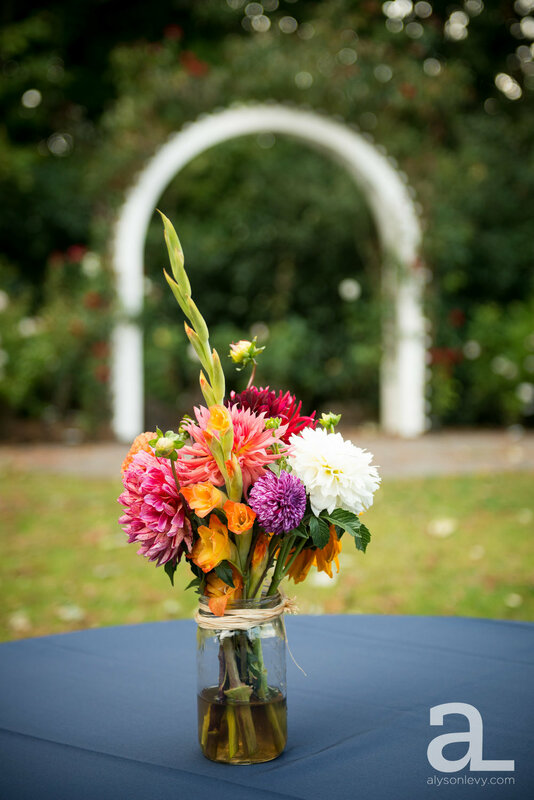 These venues all have indoor spaces, which make them great for all seasons, and most have beautiful outdoor options to take advantage of any sunshine you might be lucky enough to have on your wedding day. 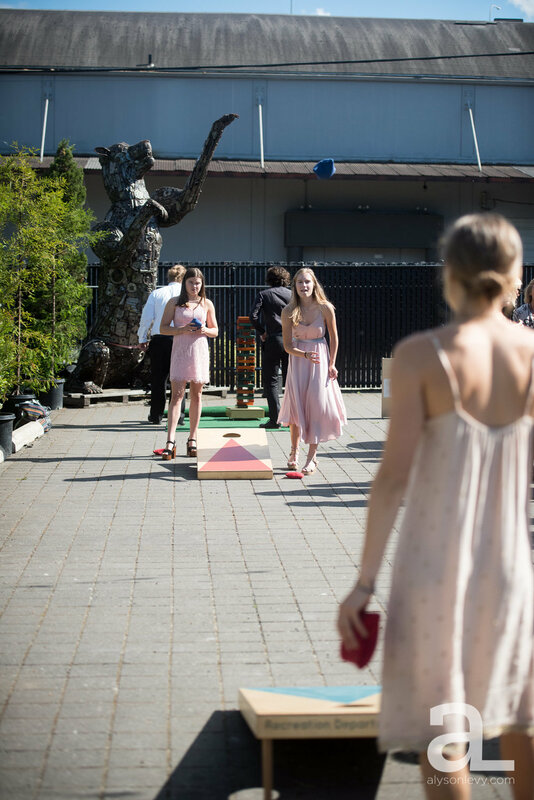 And they’re so convenient for all you Portland Brides and Grooms out there - why not show off your city to your family and out of town friends who will be traveling for your wedding day? 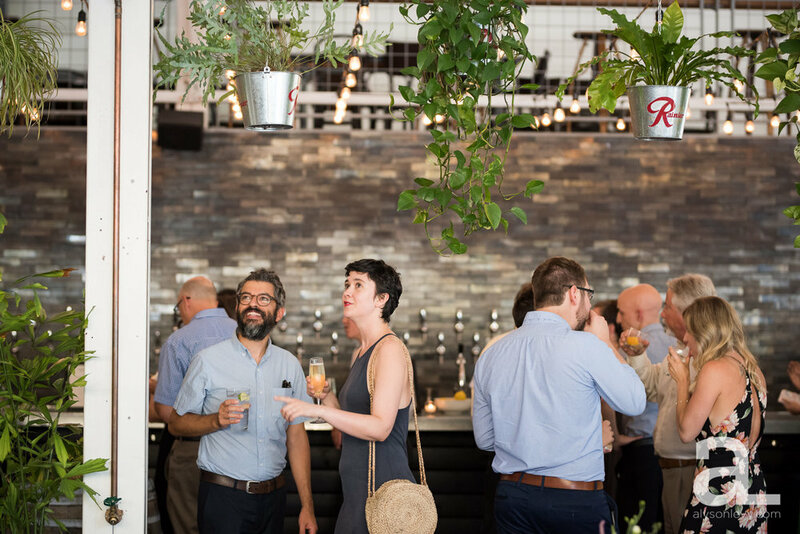 I love the light in this venue, even though it’s all indoors - the big windows and strategic greenery really make it feel open and bright. 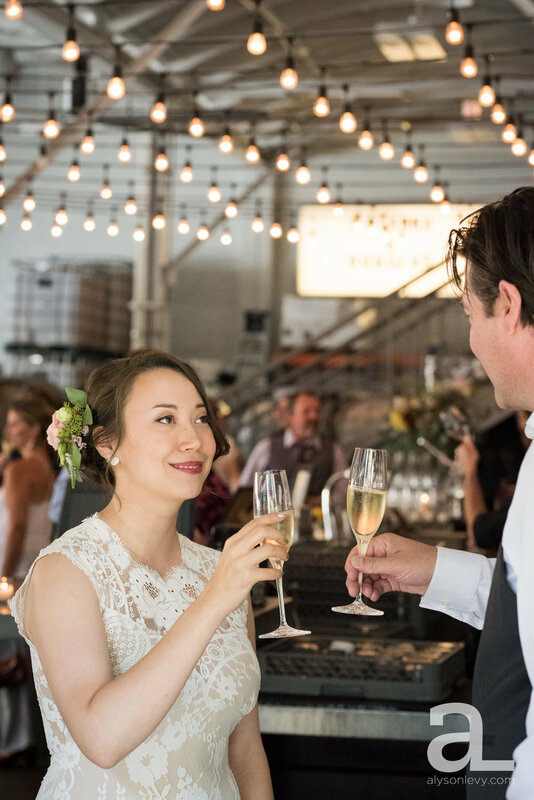 I love the string lights and the barrels in the background. And I love the helpful, friendly staff. Coopers Hall Winery and Taproom in the NE industrial area is one of my favorite indoor spots to shoot in all of Portland. 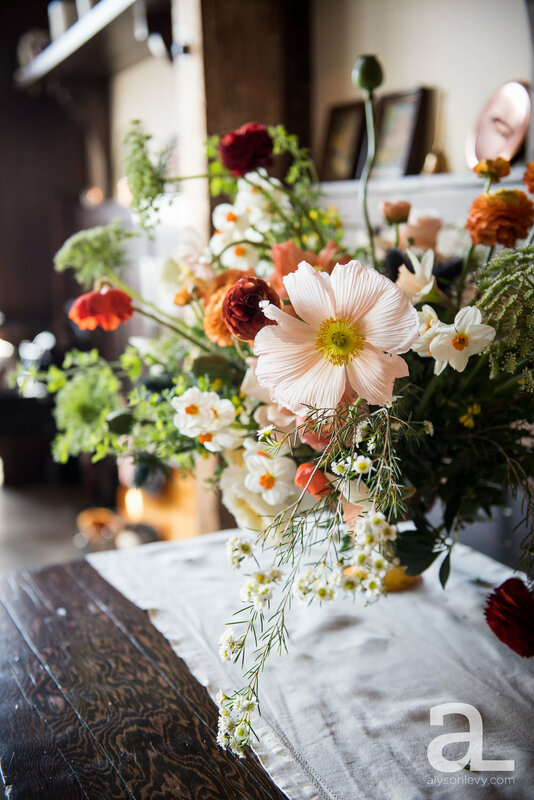 Another great space with beautiful light right here in the city is Castaway in NW Portland. 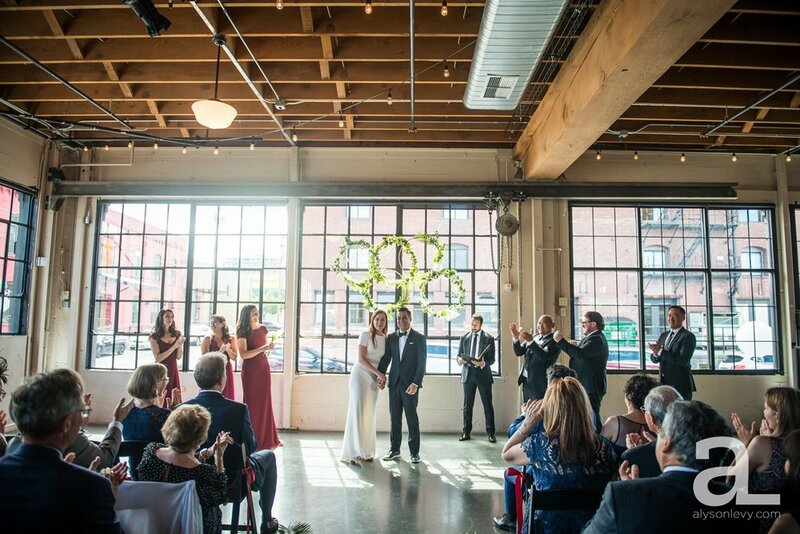 The big windows and high ceilings make it feel really expansive, the wide open space is infinitely flexible for both your ceremony and reception. 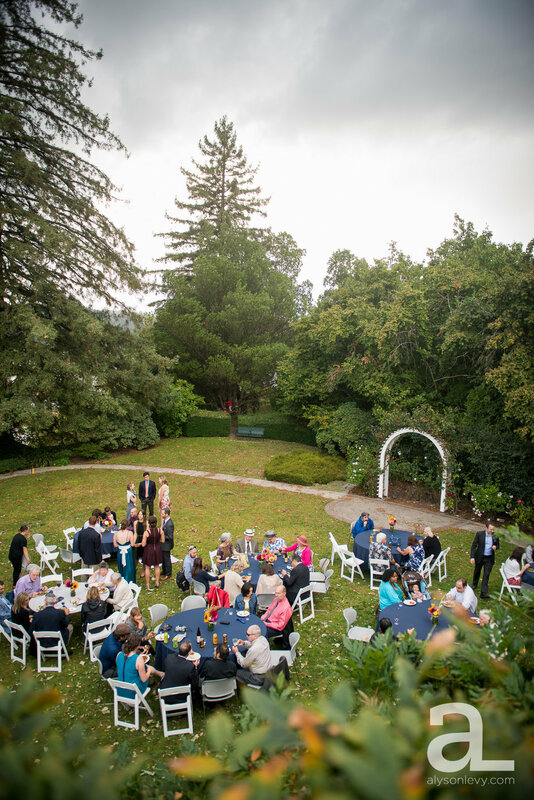 There’s a great outdoor space for a ceremony or cocktail hour with plenty of room for lawn games and mingling. 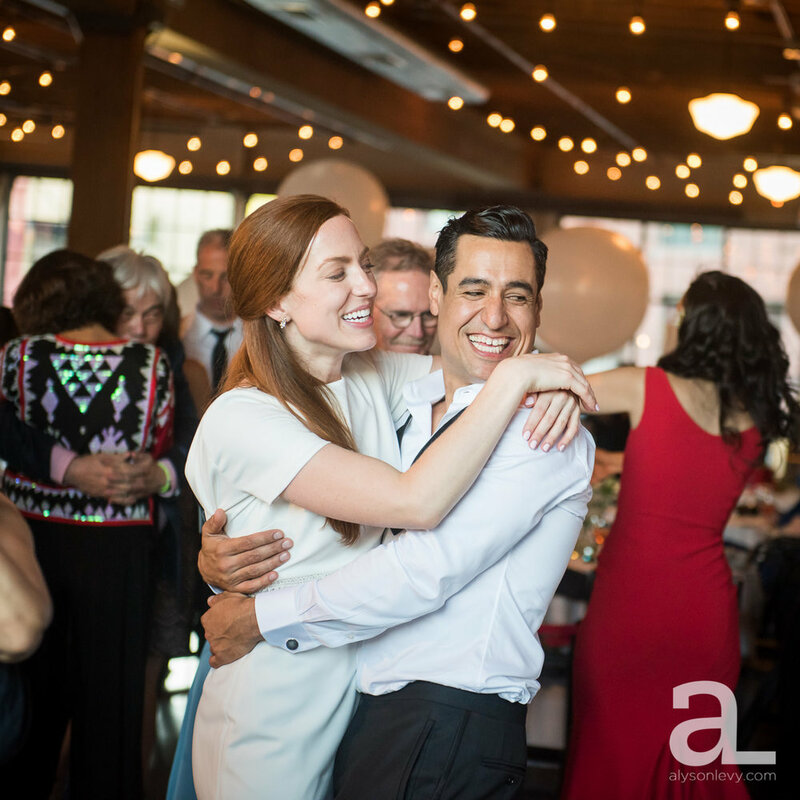 The location is also fantastic for any couple who wants to have their wedding photos with gorgeous urban backgrounds - there are so many beautiful options nearby, including great brick, cool industrial lines, and wide views of the city sky. 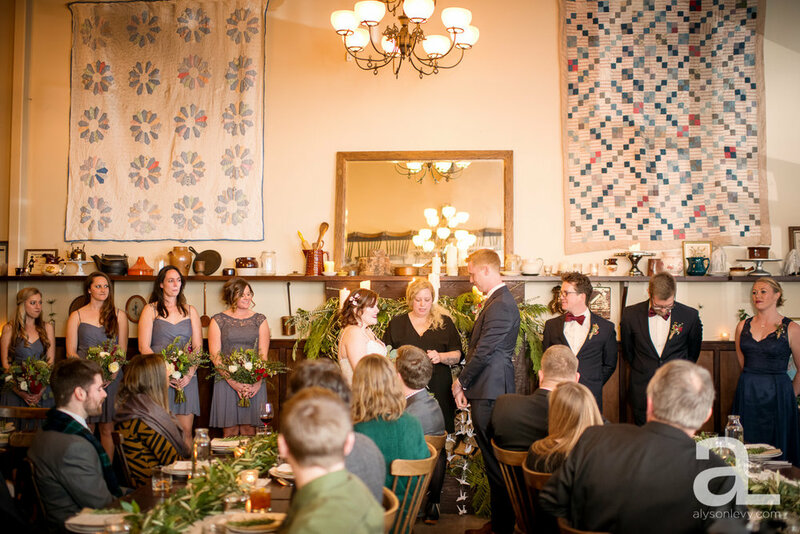 Ned Ludd’s event space in North Portland, Elder Hall, is a gorgeous gem of an event space for intimate gatherings. 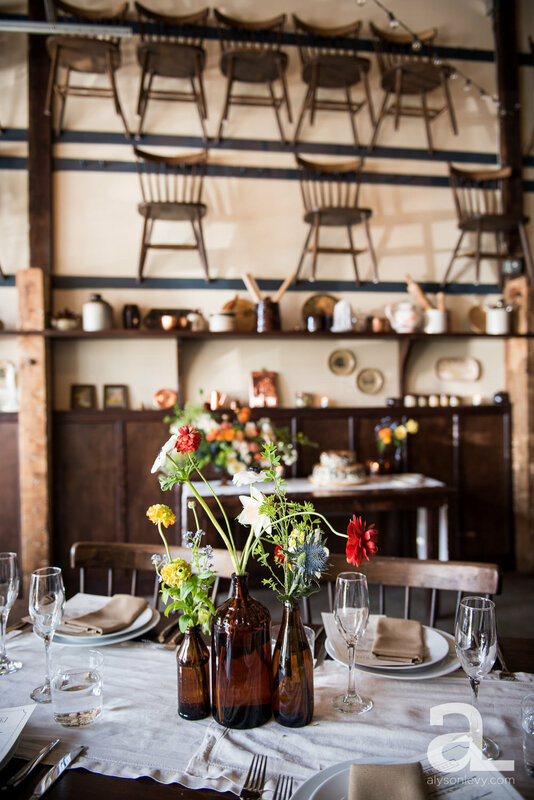 It has beautifully curated, adorable, homey decorations that make it possible to add very little and still have your event look really put together. 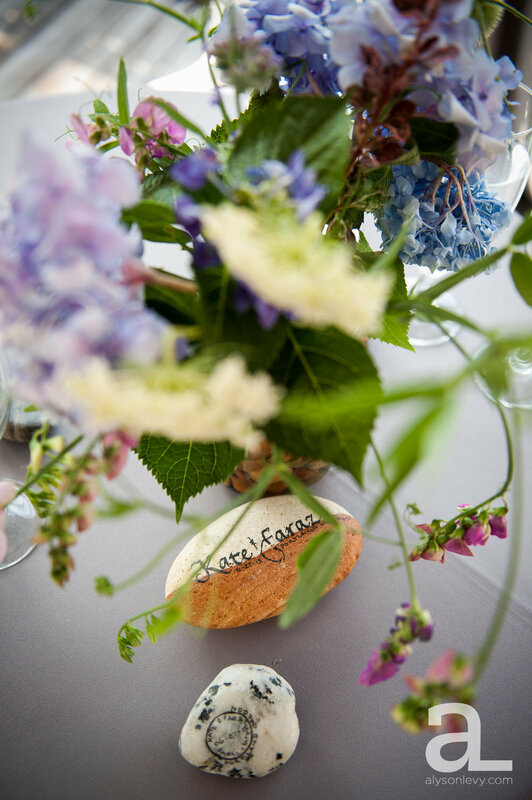 (Both of these weddings added gorgeous floral arrangements and table decorations and little else.) The food and staff are amazing. It’s gorgeous in all seasons - the photos here were taken in both spring and winter. 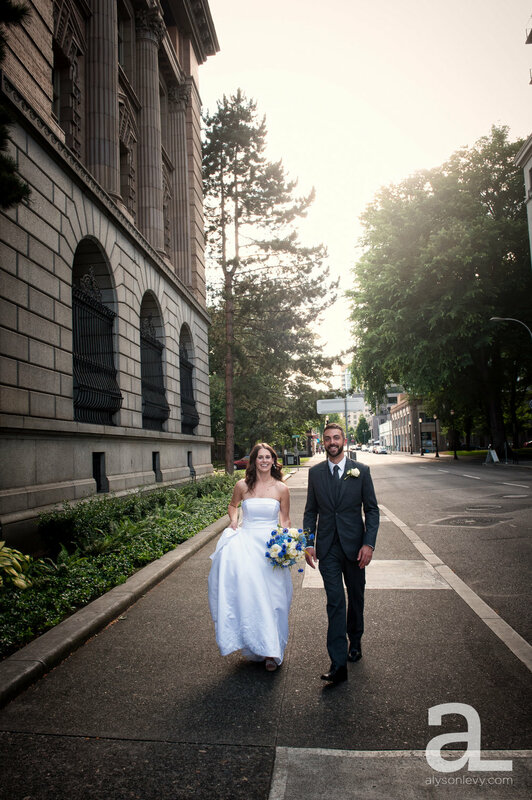 And finally, it also has an amazing array of nearby locations for wedding portraits, both urban and natural. 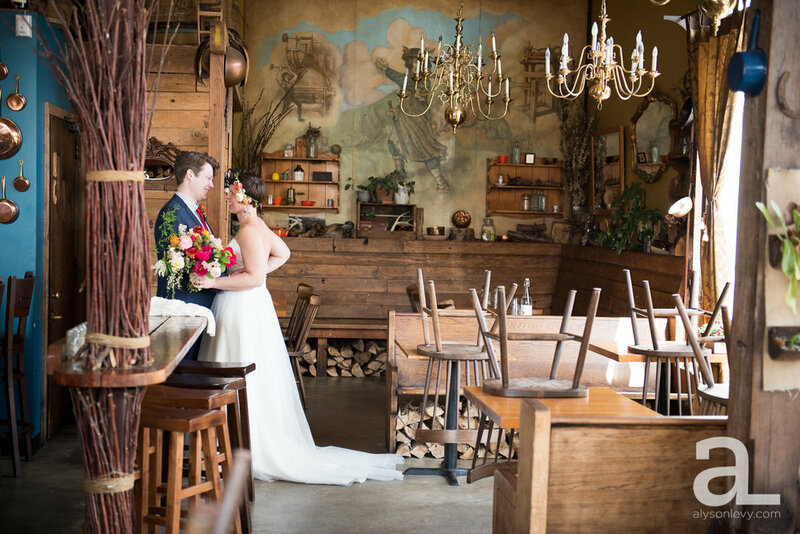 It’s my favorite Portland venue to recommend to couples who are planning very small weddings. 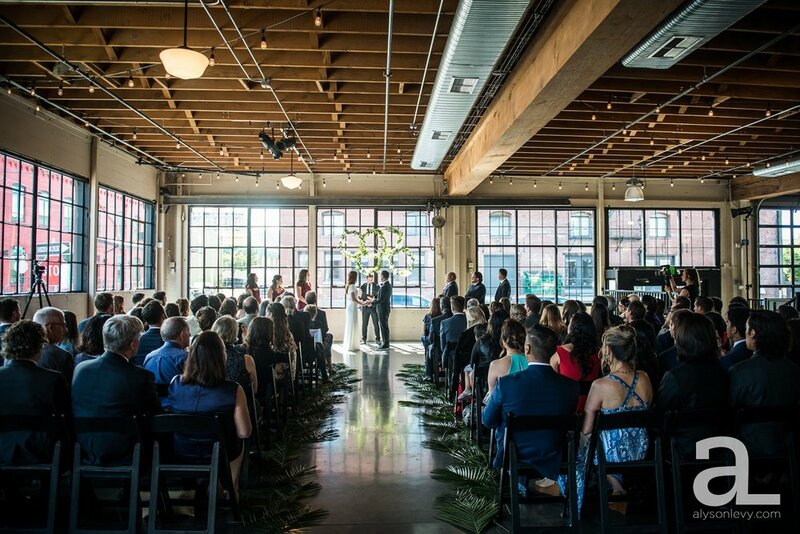 The EcoTrust in NW Portland Is a beautiful urban wedding venue. The building has an indoor conference center event space downstairs, but the rooftop is the real star. 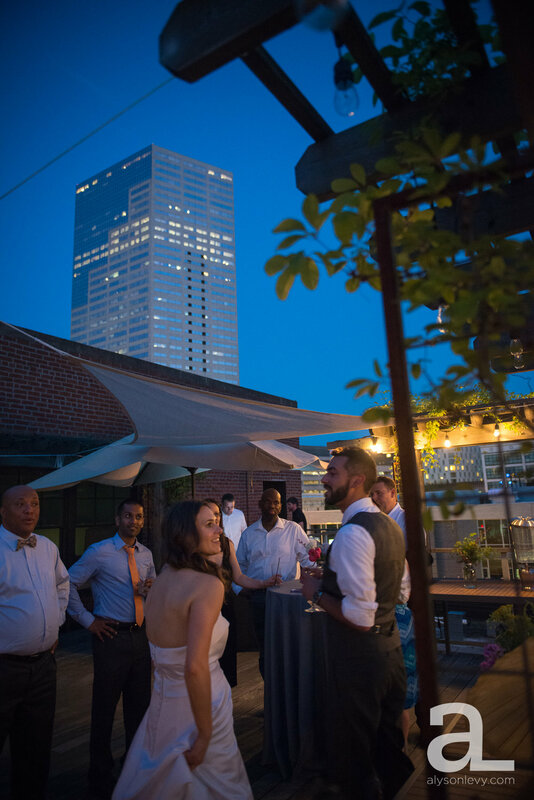 Portland brides and grooms treat their guests to beautiful views of the sunset over the city on this simple, modern garden terrace. And the EcoTrust is a really amazing environmental non-profit, so it’s really cool to support their work. 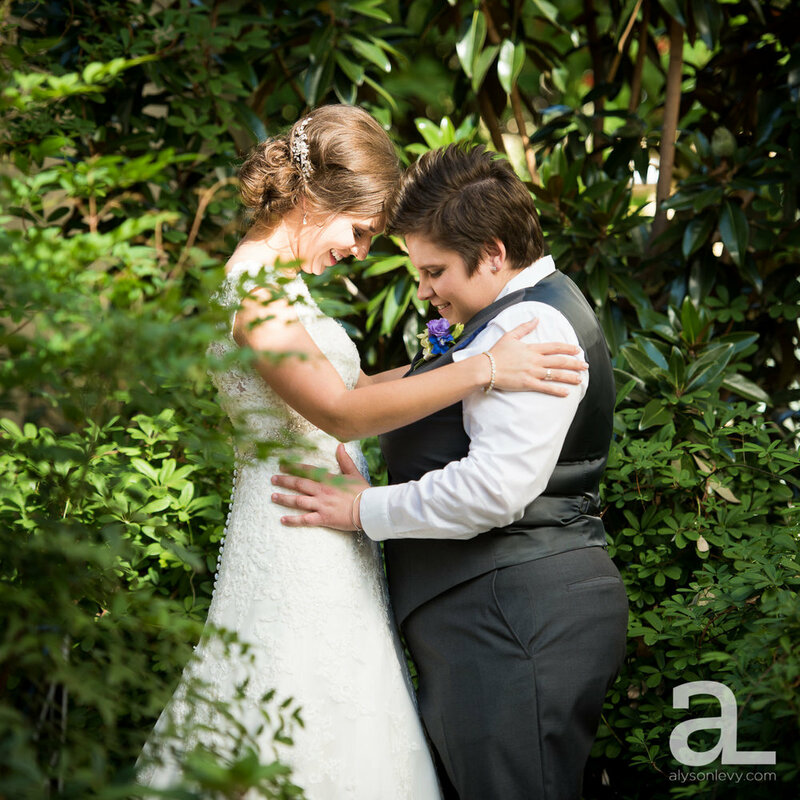 The surrounding area has a great variety of urban and park backdrops for beautiful wedding-day portraits (which is obviously really important to your photographer!). 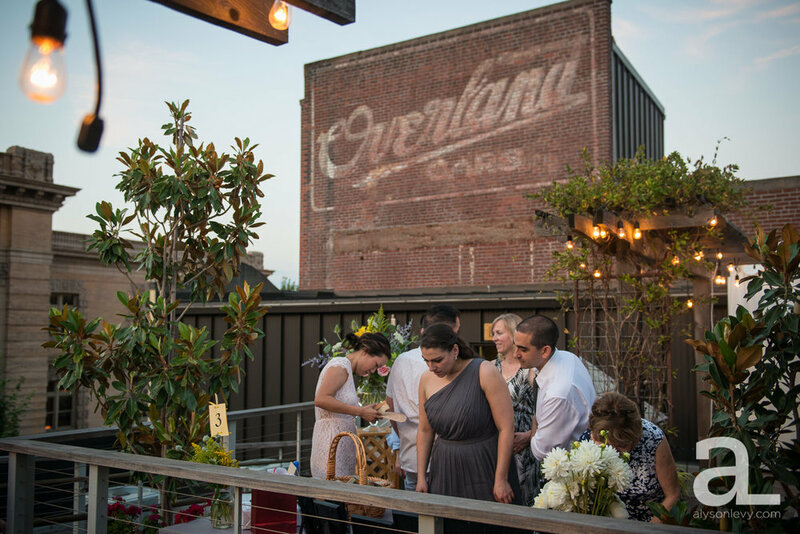 It’s an overall fantastic Portland spot to get hitched. 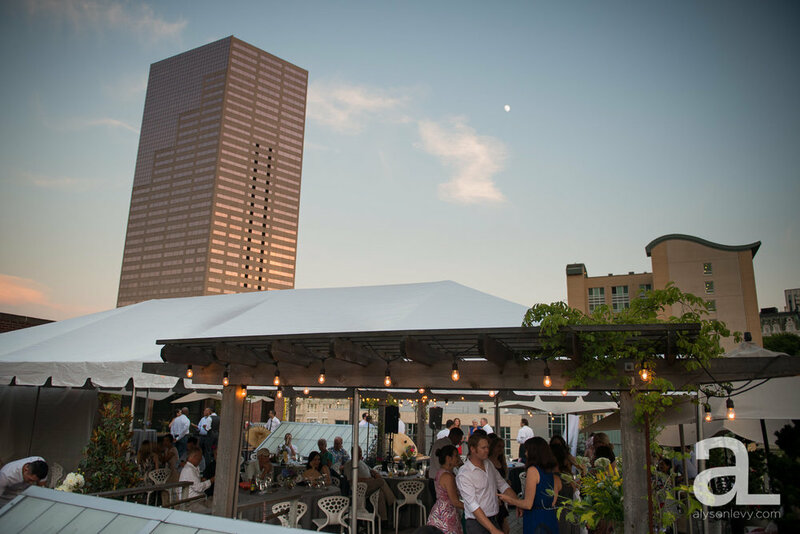 The DeSoto Rooftop Terrace is a lovely little event space with a gorgeous view of Downtown Portland, including the iconic Big Pink. 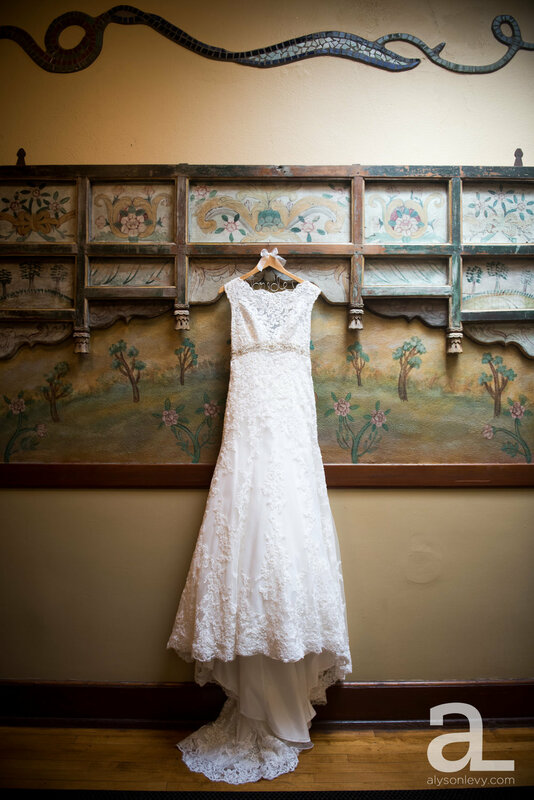 The old exposed brick, well chosen greenery and clean design are a beautiful backdrop for an urban wedding. 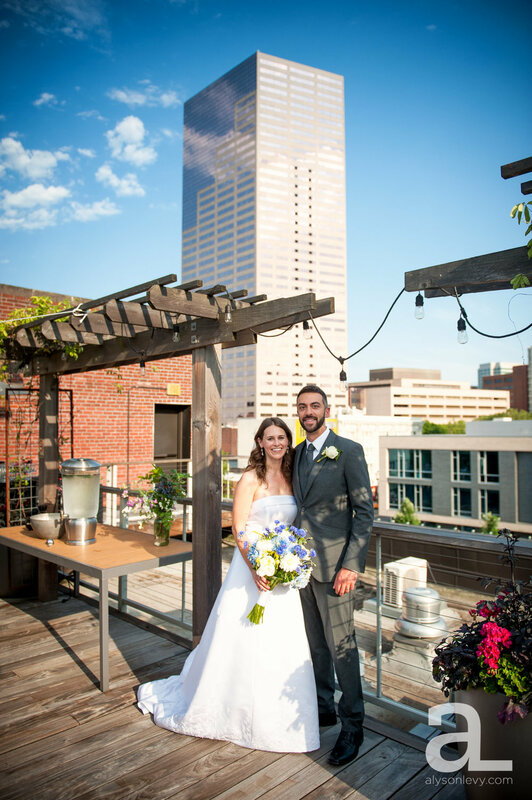 it all feels very “Portland,” for local couples who want to show off their beautiful city to family and friends. And the staff at Art of Catering, their house caterers, is super professional and really helpful. 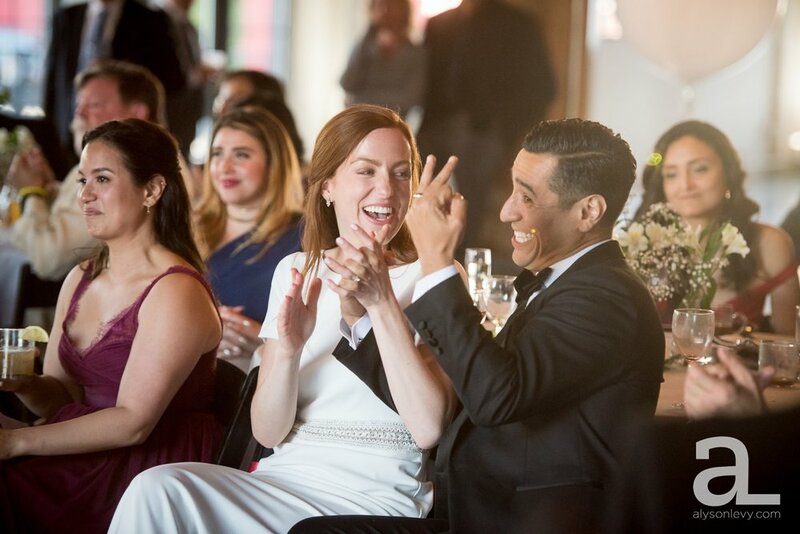 (On the day of this wedding, it was over a hundred degrees in the city, and the smiling waitstaff did a great job of keeping the wedding guests happy and comfortable.) The art gallery downstairs is a lovely indoor spot for your cocktail hour. 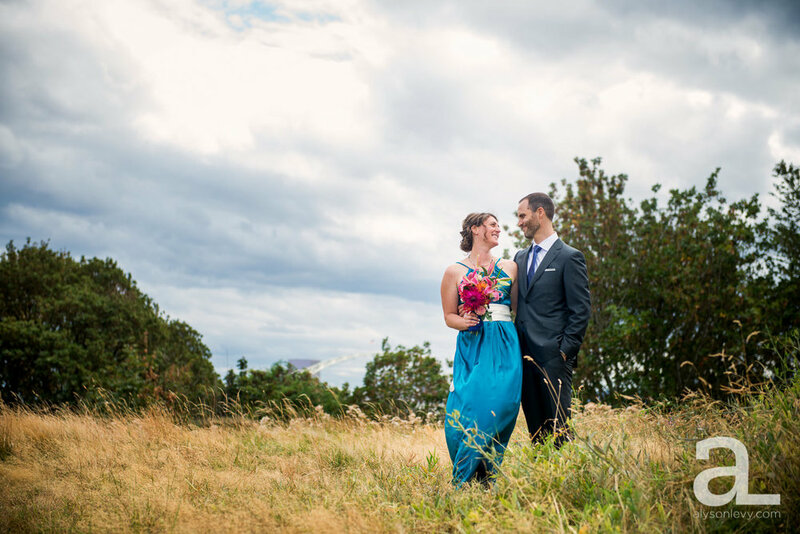 And there are great nearby spots for city portraits on your wedding day. 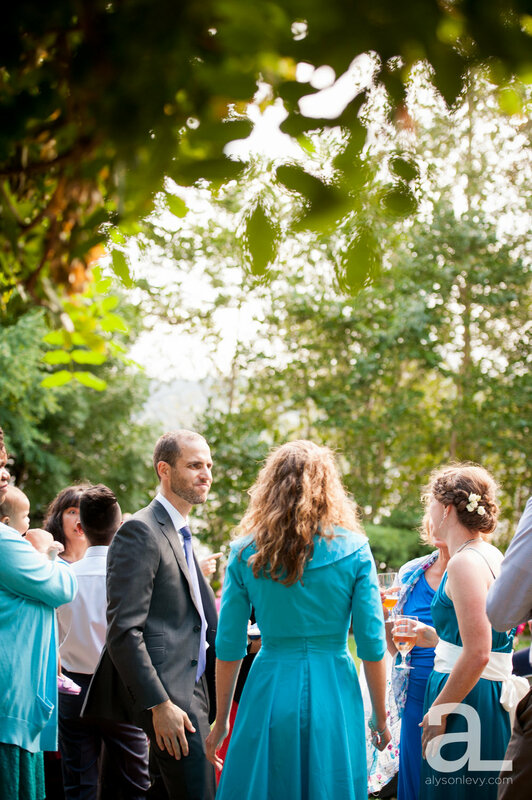 The Historic Overlook House in North Portland is a not-for-profit community space with beautifully landscaped grounds perfect for a Portland wedding. 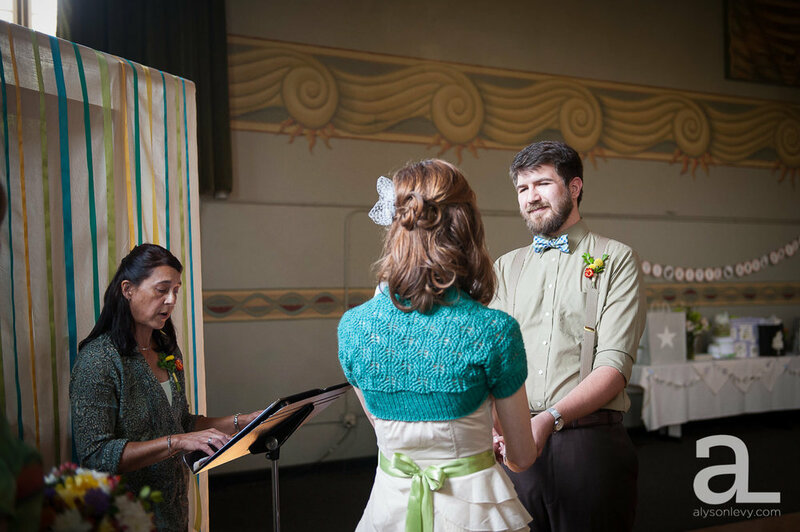 The indoor space is great for a cozy ceremony if the weather outside isn’t cooperating (as it was on this crazy windy fall day). 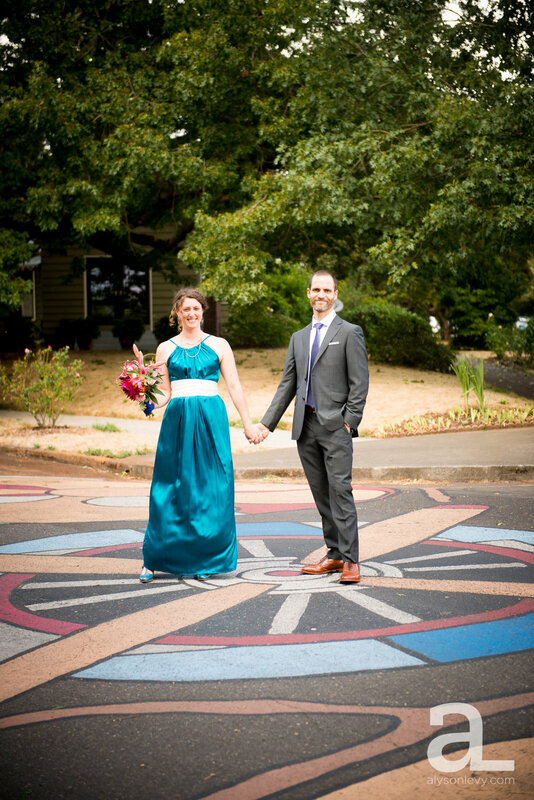 And the Overlook neighborhood is one of those quirky gems in Portland with really unique spots nearby for wedding portraits, including painted intersections and views of downtown over the river. 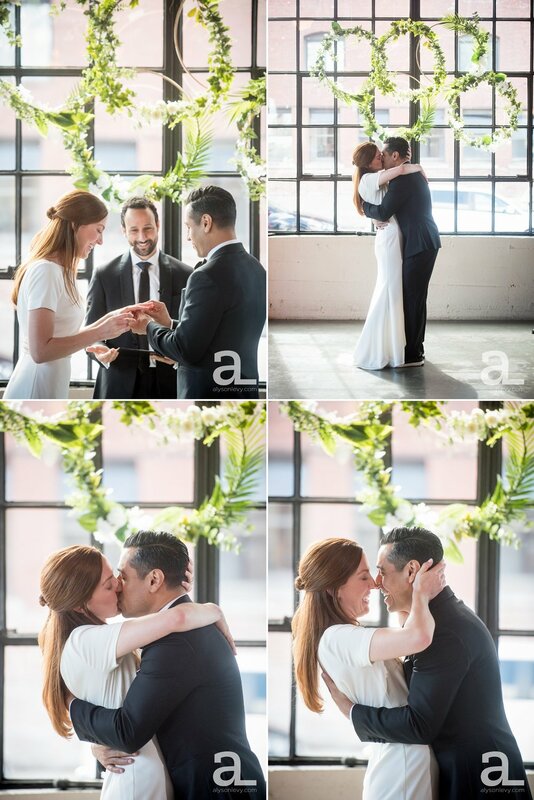 It’s just a really lovely and unusual wedding venue. 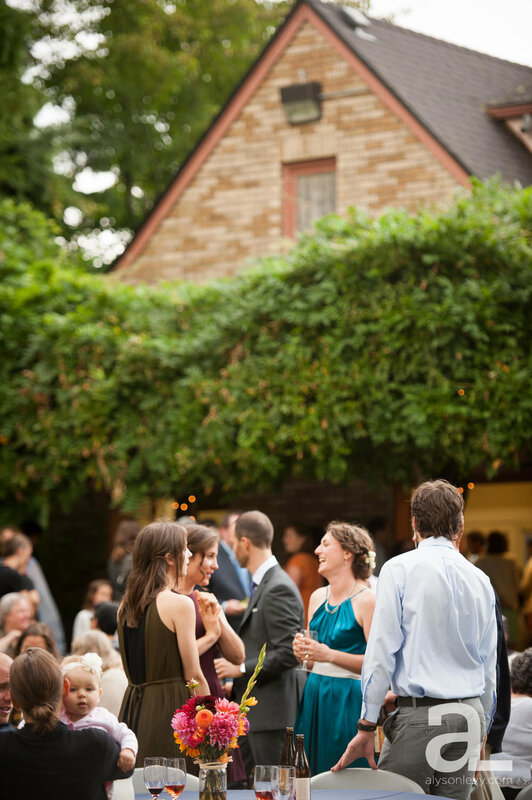 McMenamin’s Kennedy School is simultaneously really popular and really underrated as a wedding venue. Located in an old elementary school in NE Portland, it’s a hotel, restaurant, and entertainment venue all in one. 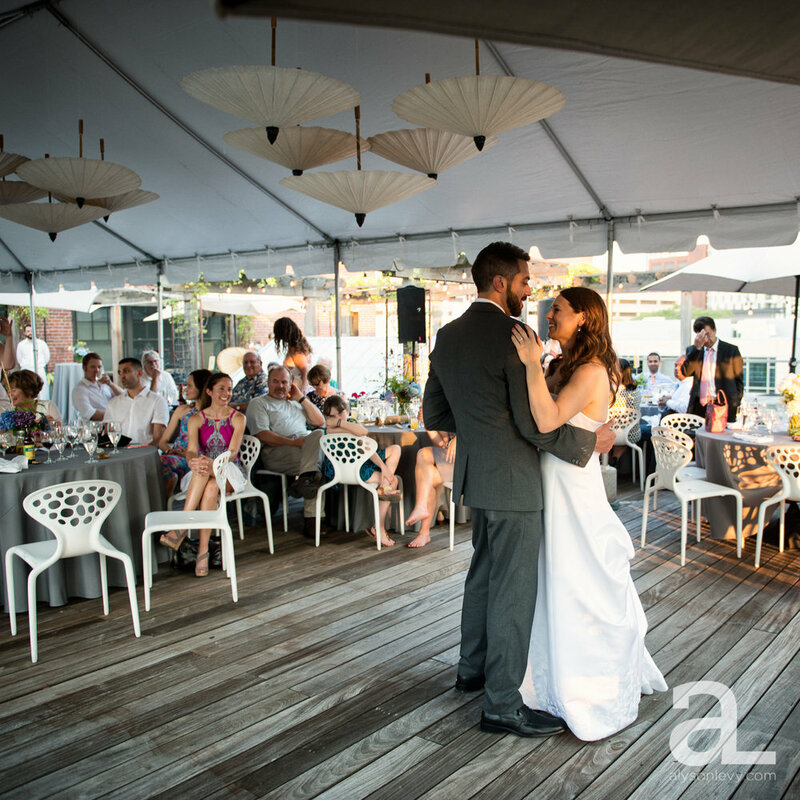 The school gym is a lovely, big space for a wedding, and its adjoining courtyard is perfect for a wedding ceremony or cocktail hour. 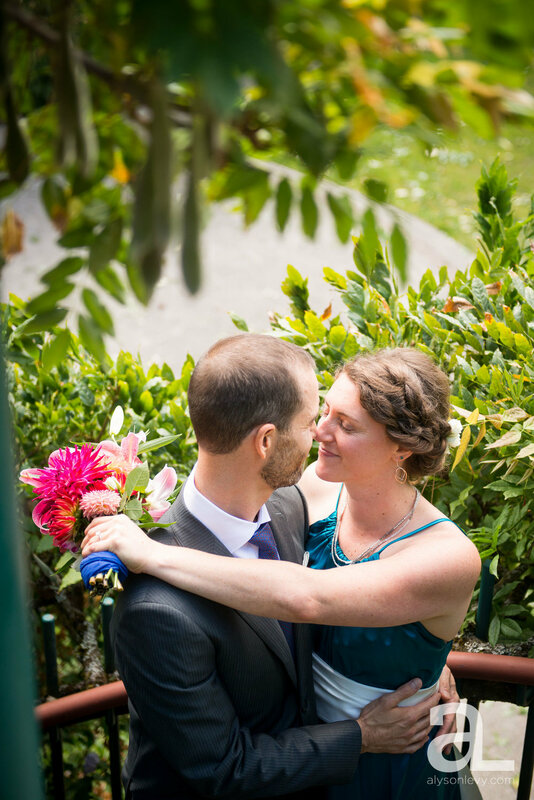 And the beautifully landscaped grounds and community garden have lots of lovely spots for wedding portraits. 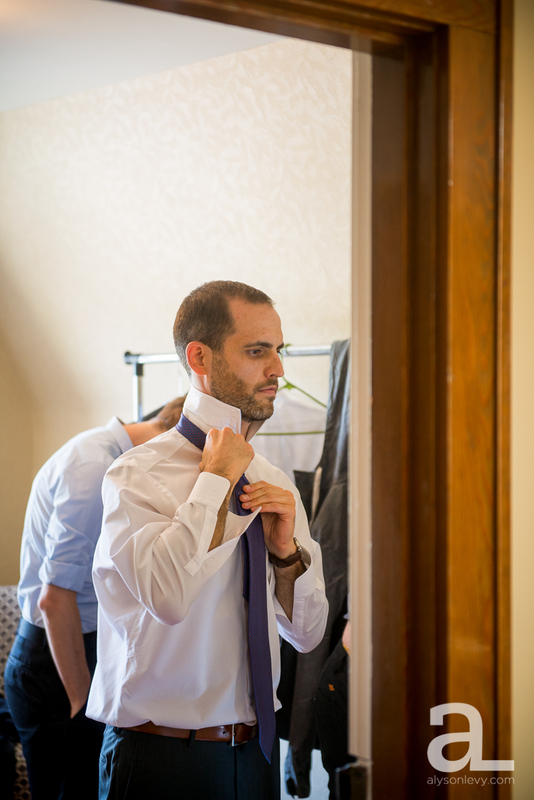 The catering, bar and service staff are all part of the deal, making it very convenient for brides and grooms. Couples will often really lean in to the “school” aspect with decorations incorporating books, class photos, and other classroom objects, which is really fun. 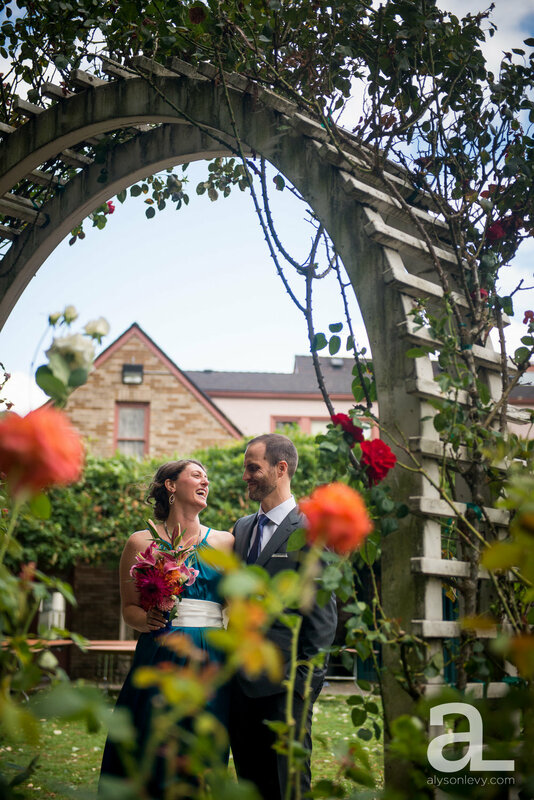 And out of town guests really love it - not many cities have a wedding venue like this. That’s all for this installment - did I forget your favorite venue? Drop me a line and tell me all about it! 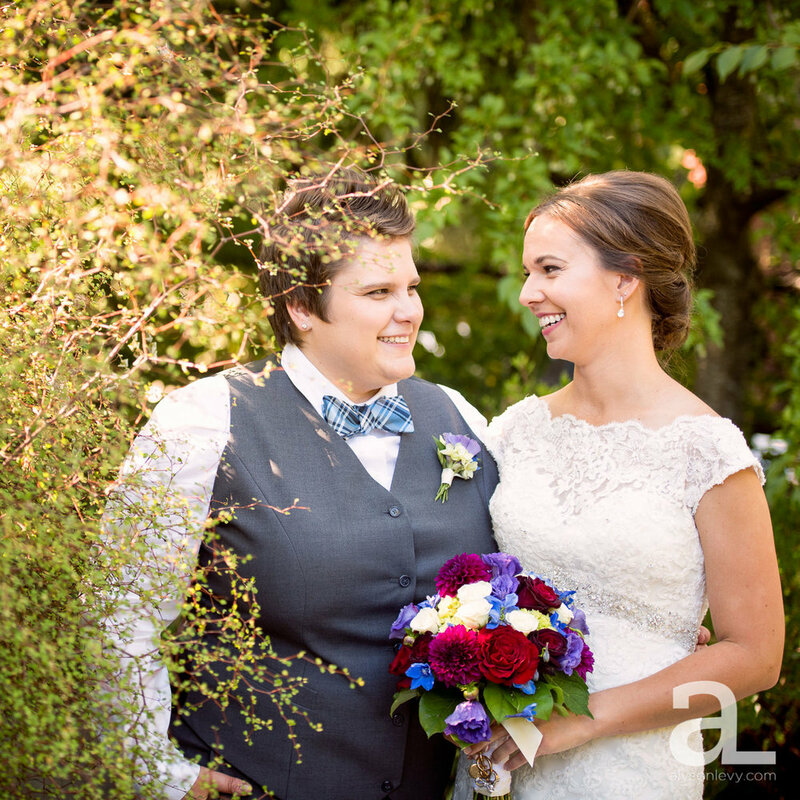 Next up… my favorite natural venues in and around Portland!